In 1896, Maria Montessori was the first woman in Italy to receive a Doctorate in Medicine from the University of Rome. The study of medicine at that time was essentially differently from the current experience: medicine was necessarily less precise and specialized, and was in consequence more holistic in focus. The study of such subjects as nutrition and hygiene were considered integral to the successful treatment of the patient.Montessori’s training as a physician had a profound effect upon the way she approached children. She used her empirical observational skills to guide her interactions with children, and experimented with ways to utilize the kinds of activities that are naturally attractive to children as opportunities for teaching them important concepts and ways of learning. As a physician, her focus was on the needs of the child, as opposed to the curriculum-driven approach adopted by her contemporaries in education. First working with a population of disadvantaged children from inner city Rome, her observations led her to develop methodologies that were a significant departure from contemporary practice. She observed that children seemed to work and learn best in an environment that was happy, secure and organized to meet their needs. Montessori was the first to promote the notion of child-sized furnishing in the educational environment. She recognized the importance of the social, emotional, and physical development in the child and the importance of multi-sensorial experience as a pedagogical technique. As Montessori continued to refine and augment her methodologies, the success of her first school was repeated by others adopting her practices. Montessori focused upon developing a process whereby teachers could be educated to reliably implement the precepts and practices she had developed. Montessori’s work had a profound effect upon the nascent fields of child development and child psychology, creating interest in a previously neglected area of inquiry and influencing a whole generation of professionals concerned with the welfare of children. Current research regarding cognitive development and child psychology confirms the value of Montessori’s work. 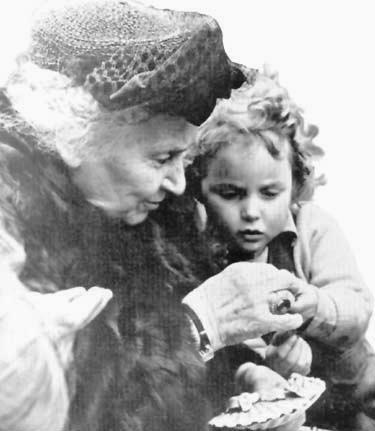 The constellation of concepts and techniques developed and disseminated by Montessori are relevant to the needs of children today as they were to a population of needy children in Rome at the turn of the century. Maria Montessori would have loved Montessori Woods furniture!